Mission Statement | Wellman Capital Management, Inc.
To create financial clarity as our clients work towards their life goals. 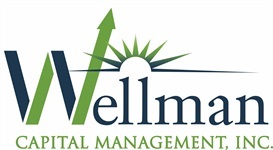 Wellman Capital Management, Inc., is a personal financial services business where you will work directly Tim on your Financial Planning. Tim's first priority is helping you take care of yourself and your family. He wants to learn more about your personal situation, identify your dreams and goals, and understand your tolerance for risk. Long-term relationships that encourage open and honest communication have been the cornerstone of our 28 years of helping people succeed..
Our investment management services are based upon a comprehensive analysis of your needs and objectives. We recognize that investment needs and objectives vary according to each family’s personal circumstances and time horizons. Our evaluation process helps us determine your risk tolerance and develop an investment strategy appropriate for you.